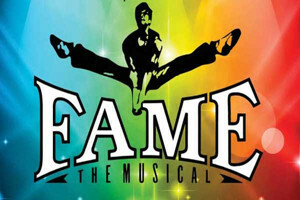 After reaching some sixty million people in over 30 countries, Fame - the Musical, based on the Academy Award winning film and Emmy Award winning TV series will be at Gettysburg College's Majestic Theater, Gettysburg PA on Saturday, September 24, 2016 at 8:00p.m. This high octane live show will have you dancing in your seat as the special relationships unfold for the lucky youngsters given a chance to develop their talent at the famous School for the Performing Arts in New York City. "This brand new production of FAME is like you've never seen it before," remarked Jeffrey Gabel, Majestic's Executive Director. The cast features some of the hottest young talent from Broadway, and the staging is a souped-up, contemporary version of the 1980 original that's as fresh as Taylor Swift's latest tweet." Conceived and developed by David De Silva, FAME was originally released as a highly acclaimed movie via MGM/United Artists in 1980. The film earned four Academy Award nominations. Its musical score for the film was awarded an Oscar for the song - with its unforgettable lyrics - "FAME - I'm Gonna Live Forever"! The network Television series of the same name followed shortly. The TV show ran for six years in the 80's winning a number of coveted Emmy Awards and made FAME one of most highly received movie-turned television series events garnering millions of viewers each week. This live show is a full-throttle journey which highlights the struggles, fears and dreams of young artists as they navigate their time in this "special" school that may well propel them into the world of entertainment. The production follows the four year odyssey of triumphs and broken dreams right through graduation day, including a tragedy that they must all rise above as they go forward in cap and gown to sing the moving "Bring on Tomorrow". To purchase tickets $59, $51, $45, call 717-337-8200, visit www.gettysburgmajestic.org or stop by the Box Office, 25 Carlisle Street, Gettysburg. The Box Office is open Monday through Saturday from Noon until 7:30 p.m. and on Sunday from 1:00 to 5:00 p.m.
Free parking and roundtrip shuttle service is available from Gettysburg College's Constitutional Parking Lot. Shuttle starts one hour before the performance and is ADA accessible. The Gettysburg Borough Parking Garage in Race Horse Alley, directly behind the theater, has designated accessible parking at the west end (closest to the Majestic) of the basement and street levels. On-street metered parking is also available. The Majestic Theater at the Jennifer and David LeVan Performing Arts Center is owned and operated by Gettysburg College as a cultural treasure for its campus and the community.